Broadway Applique Alphabet - $19.99 : Fancy Fonts Embroidery, Home of the ORIGINAL Trendy Dots Font! I purchased this set along with a few other applique alphabe .. 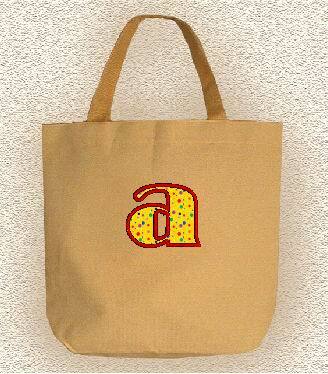 This applique alphabet contains 26 files. Design size ~ approx.3.5" to 4", though some letters, that are larger in ratio to the other letters, such as the letter "m", will be larger (width) than the 4x4 hoop. 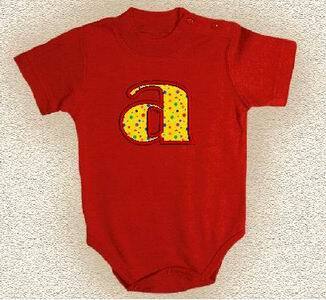 Here are a couple examples of how these applique letters would look on a baby onsie and a tote bag.